Someone is seriously considering yet a fourth try at Marriage...is it adultery? How many such weddings does it take to fill the cup. . . ? Would this potential union qualify as an interracial marraige? Might what is going on qualify the ministry as undermining the sanctity of marriage, not because it might be interracial, but due to the frequency of divorces and marriages sanctioned by the leadership? No, they are not! Stop it GJ! LOL!!! To whom do they really belong? And say they belong to us. And left them alone to rot. Would you blame him? Certainly not! And moments were made for delight. If it keeps us awake to night. I would argue that it is ALREADY FULL!!! Oh, by the way, Sheba, your gift seems to exceed that of Johann and we look forward to your literations. 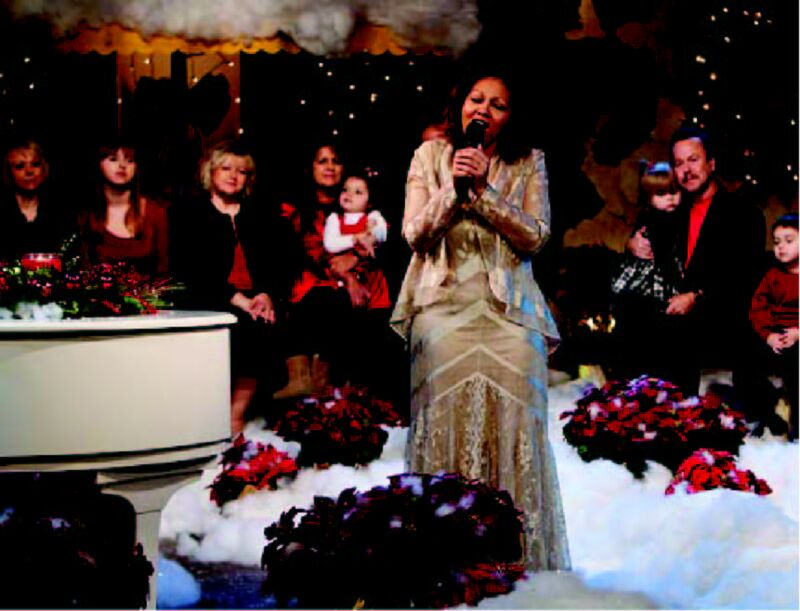 The March 2011 issue of 3ABN World's cover story was about Yvonne Lewis. Here was one of the pictures from that article, in which Danny looks a bit dreamy eyed. GJ, I can't see Danny. Use the scroll bar just beneath the picture. Working on the production of a video that will give him all the "visibility" he will want...gotta wonder if Danny doesn't dream of Linda...and what it would be like if he simply had done the right thing!!! Yvonne will suffer from "Third Man Theme"...Do you wonder if he will be her last??? For her sake, I hope not, because Danny must still be "Dreaming of Linda". How much easier life would be...how much less expensive the last six years would have been...and how much better if the governance had changed... but it has not, it will not and justice must be served upon this non-denominational entity!!! (smile) What really caught my attention before I scrolled....is the Dr's. dress again. and Danny looking dreamily at it??? again!!! and there is conversion somewhere with this outward appearance??? With viewing recently a sketch where DS is singing, he asked to change key and seemed to loose his words but added and lost again. I watched the look on the ones on stage with him and they seem to be dumbfounded to follow him but did their best. I almost felt he was loosing it or something wrong. Now they are into making Mel famous with the famous and capable background singers. DS seems to be really prodding that along....for some reason!! Is it money? Background singers although I do like the "Lady Love" couple and the DR. music, they seem to be at DS beckoning duties. Linda still surpasses the theatrical. This is all amazing to watch between "the Robe" Ken Cox series, Doug B and the Howard Brothers which I really enjoy with especially Lyle too. Yes, the wheat and the tares till the end.....which end??? OOoooh duh!! thanks Tinka.....must have been REAL tired when I first looked at this! Tinka, what is wrong with the Dr.'s dress> It is not short, low cut, or see through. A little busy for me, but a nice dress.